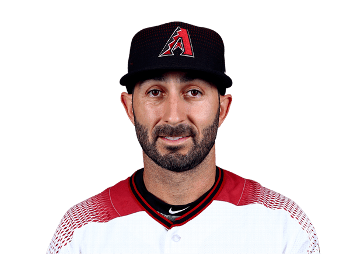 Daniel William Descalso (born October 19, 1986) is an American professional baseball utility player for the Arizona Diamondbacks of Major League Baseball (MLB). The St. Louis Cardinals drafted him in the third round of the 2007 Major League Baseball draft from the University of California, Davis, and he made his MLB debut for the Cardinals in 2010. He later played for the Colorado Rockies. Italian-American Descalso was born in Redwood City, California, on October 19, 1986, to Marylou and George Descalso. He is the oldest of six children. He played baseball in San Carlos Little League and went to Saint Francis High School in Mountain View, California. He pitched as the team's number 1 starter for three straight seasons, and played 2nd base. He made the All-Central Coast Section squads twice, including first team as a senior, second team as a junior. He made the West Catholic Athletic League first teams in each of last two seasons, including WCAL MVP distinction in 2004. He also played football, winning first-team All-WCAL, second-team All-CCS and honorable mention All-Metro as a senior. He scored three touchdowns against their crosstown rivals during 2003 Homecoming game. He graduated in 2004. Descalso went on to UC Davis, where he played third base and majored in economics. In 2007, Descalso was named to the NCAA All-Independent First Team. He put up some of the best stats ever at UC Davis, with a .397 lifetime batting average and 92 career hits. His 22 doubles rank second all-time in school history. Following his junior year, he was selected by the St. Louis Cardinals in the 3rd round (112th overall) of the 2007 amateur entry draft. He was selected in the highest draft position ever for an Aggie player. He is 5 ft 10 in (1.78 m) and 190 pounds. 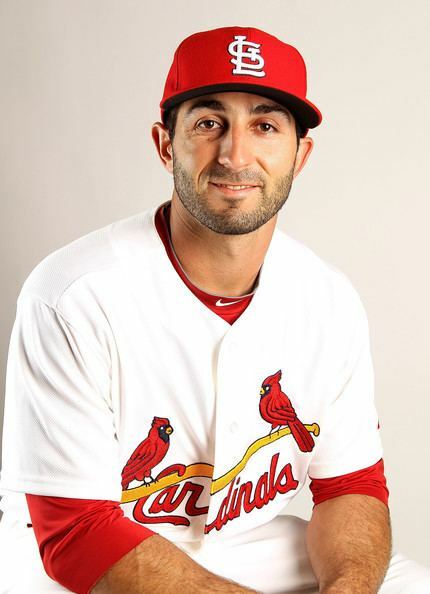 Following the draft, Descalso began his professional career with the Batavia Muckdogs, the Short-Season A affiliate of the Cardinals in the New York–Penn League. He played 69 games for the Muckdogs in 2007, splitting time between 3rd base and 2nd base. In 2008, Descalso began with the Palm Beach Cardinals, the High-A affiliate of the Cardinals in the Florida State League. He played 115 games in Jupiter, where he batted .243 and played shortstop, 2nd base, and 3rd base. In August 2008, he was advanced to the Springfield Cardinals, the Double-A affiliate in Missouri. He played in just 9 games, but hit .351. In 2009 with Springfield, Descalso had eight home runs and 51 RBI in 288 at-bats over 73 games, all at second base. His line was an impressive .323/.396/.531. At the end of the 2009 season, he was named to the Double-A Texas League post-season all star team. However, he did not play in that game, instead was promoted to Triple-A Memphis in early July when Jarrett Hoffpauir was recalled by the Cardinals. After the call up, Descalso played most games at 2nd base, with 9 at 1st base. Descalso was also named the 2009 Springfield Cardinals Player of the Year. He missed final two weeks of 2009 season to play for the gold medal winning team USA in the 2009 Baseball World Cup in Italy. The Cardinals invited Descalso to the 2010 spring camp, where he batted .500 with nine RBI in 14 games. Through the first two months of the 2010 season, he exclusively played 2nd base. On September 18, Descalso's contract was purchased by the Cardinals and he was promoted to the major leagues. He officially made his major league debut on September 18, 2010, at home against the San Diego Padres when he was announced as a pinch hitter (although he did not bat and was replaced by right-handed batter Nick Stavinoha). His first game as a starter was on September 22, 2010, against the Pirates at their park, where he garnered his first hit and first RBI on a 2-run double. It was at third base, rather than his natural second base position. Nonetheless, his first MLB career fielding attempt was the front end of a 6–4–3 double play (Descalso-Schumaker–Pujols). He finished the year solidly, and remained on the 40-man roster. 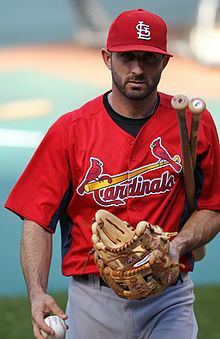 Given his late season performance, Descalso started the 2011 Spring training with a legitimate chance to make the Cardinals. However, the Cards had a number of capable infielders fighting for roster spots, including David Freese, Tyler Greene, Double-A prospect Matt Carpenter, and off-season acquisitions Ryan Theriot and Nick Punto. The difficulty would be determining a position and securing a spot. An injury to Punto and questions about Freese's durability left the Cards desperate for an extra utility infielder (rather than an outfielder). Ultimately, Descalso secured a roster spot out of training camp. Descalso hit his first major league home run on May 3 in St. Louis in the 7th inning. The three-run blast was a game winner that vaulted the Cardinals to a come-from-behind 7–5 win against the Florida Marlins. In a July 7 game against the Cincinnati Reds, he stroked four hits with two RBI. Following the 2011 season, Descalso was a finalist for the Rawlings Gold Glove Award at third base for the National League, although the honor was later awarded to Plácido Polanco of the Philadelphia Phillies. After playing regularly at second base during the 2012 season, Descalso played an integral role in the postseason. In Game 5 of the 2012 National League Division Series, where the Cardinals came back from a 6-run deficit to defeat the Washington Nationals 9–7, Descalso homered, doubled, and then hit a two-run single to tie the game. On May 21, 2013, Decalso hit his first career grand slam and tallied a career-high five RBI as the Cardinals beat the San Diego Padres 10–2 at Petco Park. Prior to the game, Descalso was batting just .197 with one home run. For his 2013 season statistics, Descalso batted .238 with five home runs and 42 RBI. He continued his versatility in the infield by making starts at second base, third base, and shortstop. Descalso filed for a $1.65 million contract request following the season. 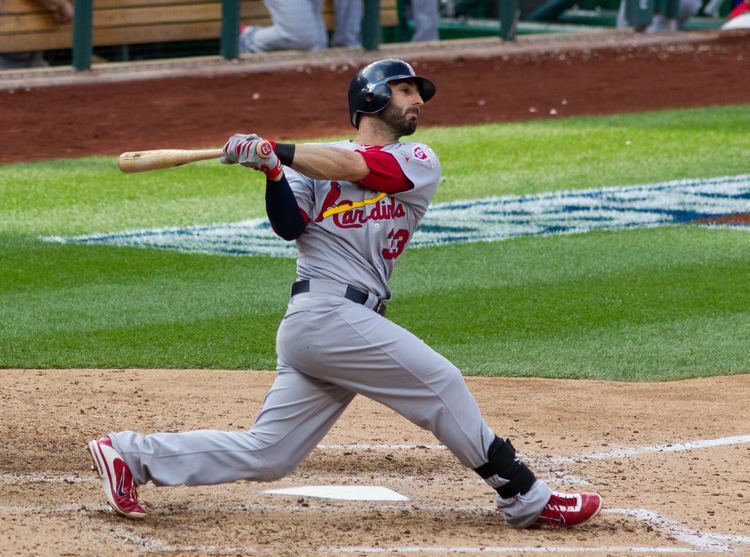 The Cardinals and Descalso avoided arbitration and agreed to a one-year, $1.29 million contract on January 30, 2014. Descalso made his Major League pitching debut against the Chicago Cubs in the top of the ninth inning with two outs on May 12, 2014. He threw two pitches, recording one out and allowing no hits. With a chance for increased playing time during interleague play against the Baltimore Orioles, he collected five hits in 10 AB over an August 8–10 series. 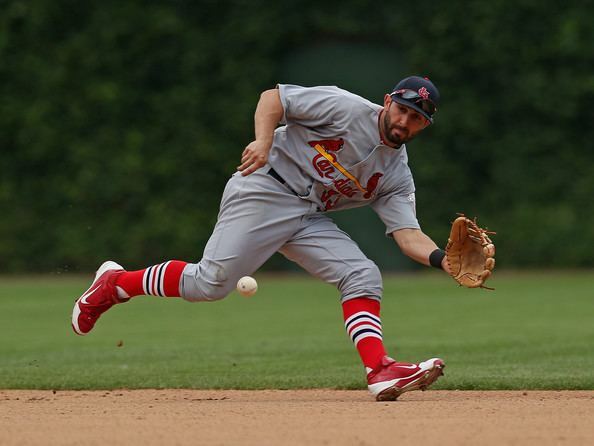 Within the three consecutive days and four consecutive games, August 30 through September 1, 2014, Descalso became the first Cardinal player in team history to start a game at each of the four infield positions as follows; Saturday August 30, vs. Chicago Cubs (game 1) 2B, Saturday August 30, vs. Chicago Cubs (game 2) SS, Sunday August 31, vs. Chicago Cubs 1B, Monday, September 1, vs. Pittsburgh Pirates, 3B. Descalso signed a two-year deal with the Colorado Rockies on December 16, 2014. The deal totaled $3.6 million with the opportunity for another $1 million in performance bonuses. Descalso appeared in 101 games in 2015, hitting a career worst .205 with five home runs and 22 RBI. Descalso began the 2016 season on the disabled list with a broken hand suffered in spring training. In 2016, Descalso appeared in 99 games, bouncing back offensively by hitting .264 with a career-high 8 HR and 38 RBI. Descalso served as a veteran presence on the Rockies, while also filling an important utility role, receiving time at six different positions over the course of his two seasons at Colorado. On February 7, 2017, Descalso signed a one-year, $1.5 million deal with the Arizona Diamondbacks with an option for 2018, and entered a heated competition for a bench spot on Opening Day. On April 30, 2017 Descalso hit a two-run home run for his first walk off against the Colorado Rockies.